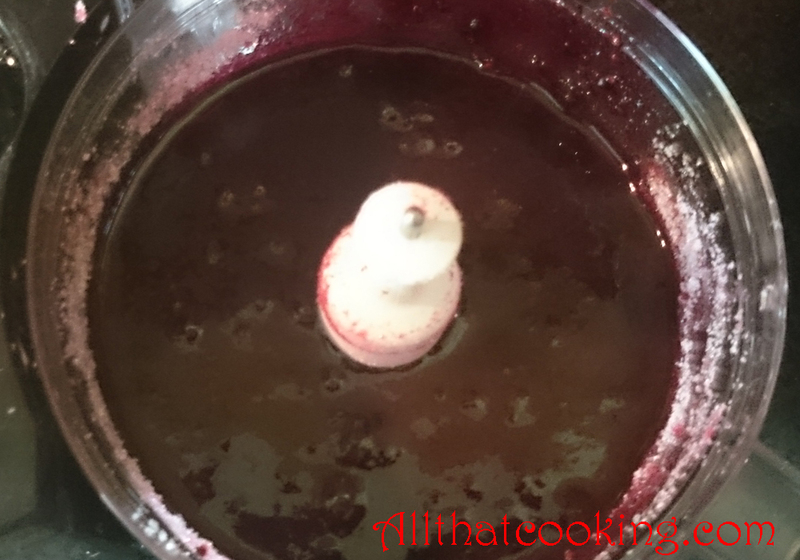 Here’s an easy recipe that resulted from one of Oli’s berry picking marathons. (Life is good when you can just walk out of your front door and pick these luscious little drops.) Port wine adds a nice depth and richness that nicely softens the tartness of the berries. Feel free to use a Ruby Port instead of the suggested Tawny Port. You can also substitute just about any kind of berry and successfully make this recipe. Change out the Port for a liqueur that complements your chosen berry. We used the jam as filling in a lovely, airy jelly roll. In Iceland it’s called Rúlluterta. In Sweden it’s Rulltårta. Whatever you call it, it’s a divine dessert. Try it. You’ll love it. Before you begin, run your jars through a wash cycle in the dishwasher. 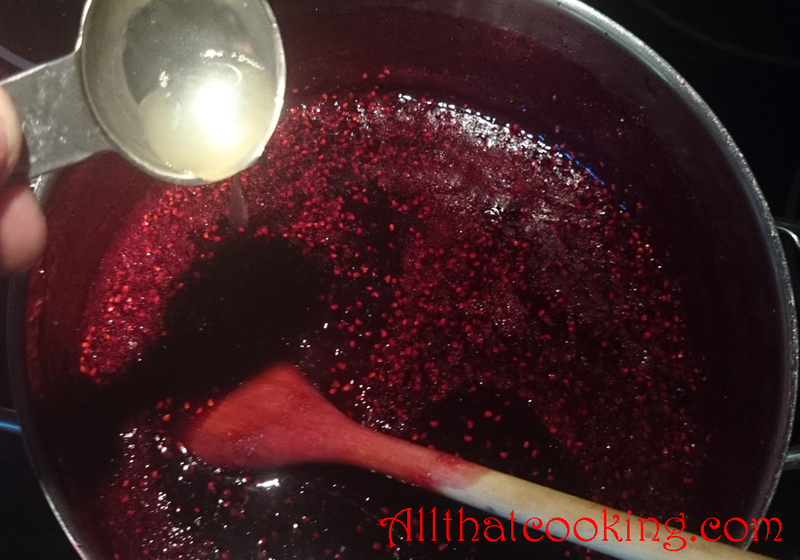 Make the jam while they are drying. 1. 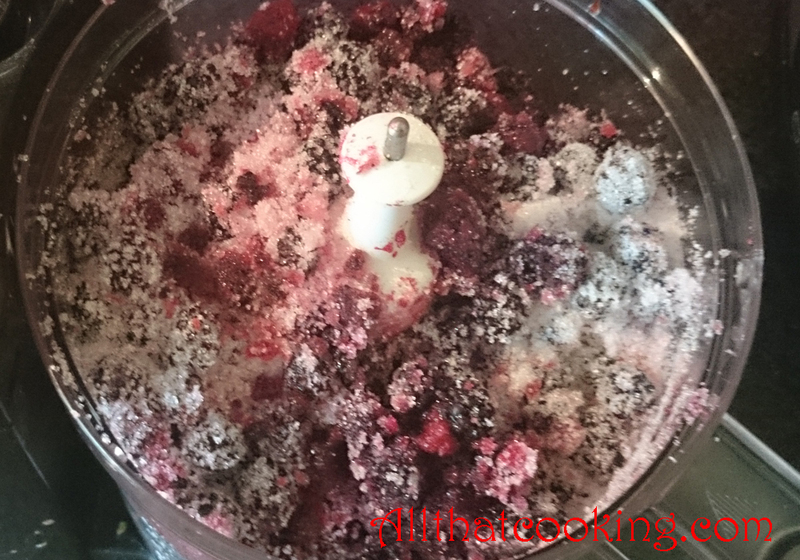 Place berries and sugar into the bowl of a food processor. Send them for a good spin until well mixed and you have a runny mixture. 2. Transfer mixture to a medium size soup pot and bring to a boil over medium-high heat. 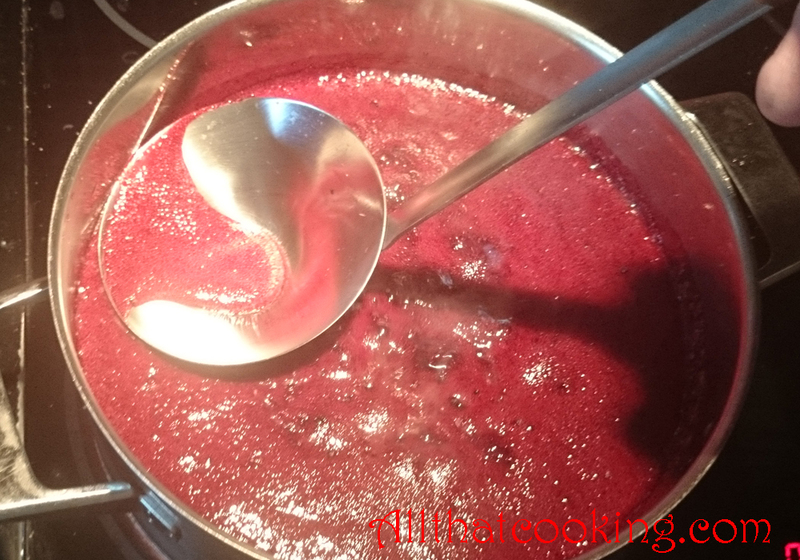 Reduce heat to medium low and simmer for about 10 minutes. Skim and discard the froth that forms on the surface. 3. 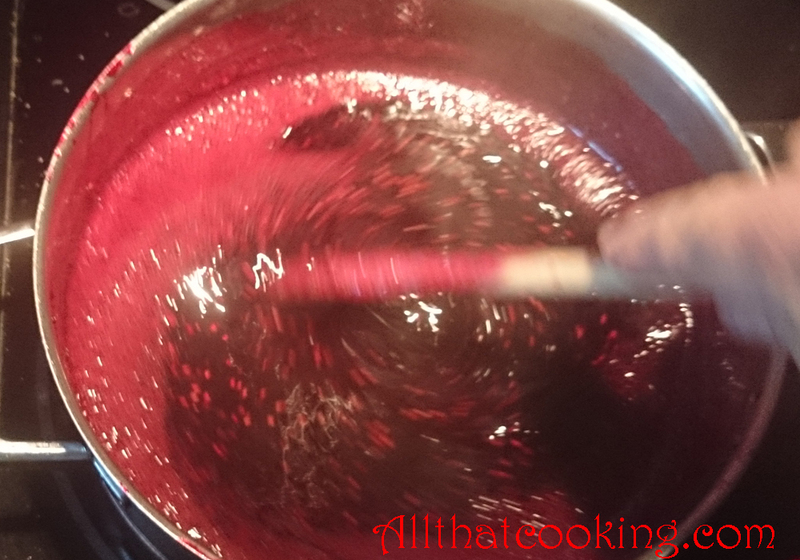 In the meantime mix gelatin and Port wine in a small bowl. Make sure gelatin is well dissolved. 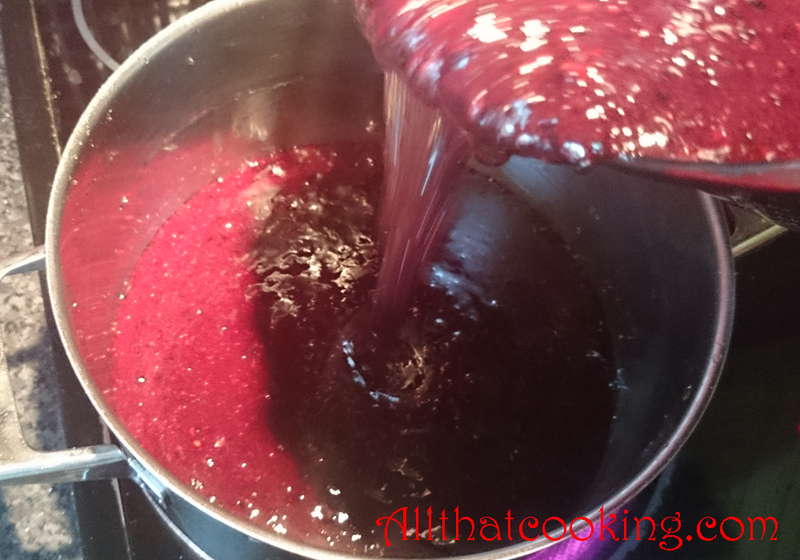 Remove berry pot from heat and stir in Port/gelatin mixture. 4. Pour in lemon juice and mix well. 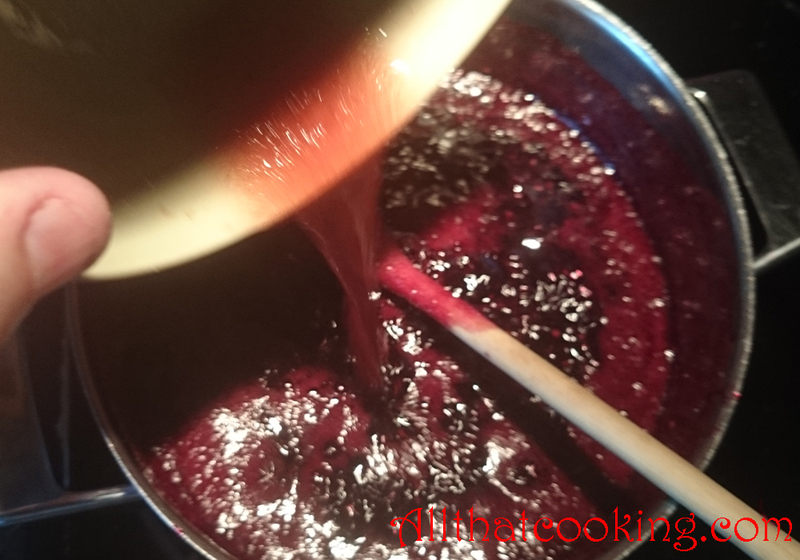 Let jam come to room temperature in the pot. 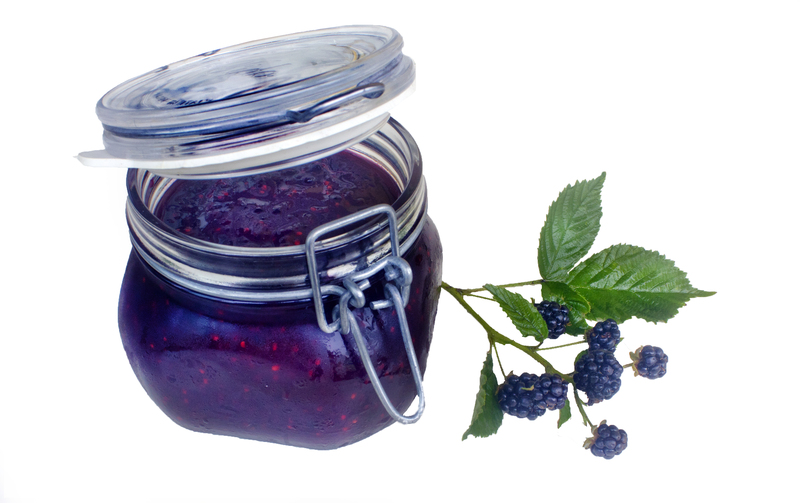 Spoon jam into your jars, cover and store in a cool dry place or even better, in the fridge. Unopened jam can be stored for up to a year unopened in a pantry. Opened jars will last as long in the refrigerator. 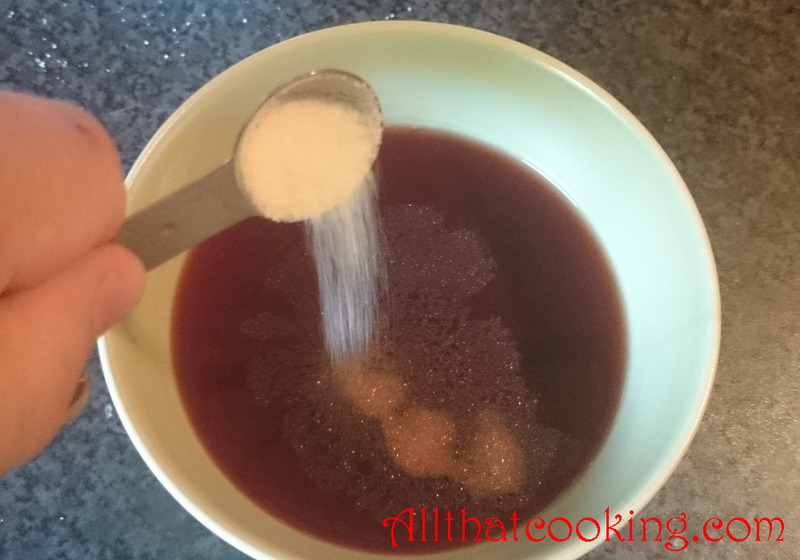 Did you know that the more sugar in jam, the longer you can store it? My Blackberry bush getting ready for winter. Gallery | This entry was posted in Jams and tagged blackberry port wine jam. Bookmark the permalink.